E-commerce entrepreneurs are obsessed with traffic acquisition, sales, and high conversion rates. And that’s great. You’ve got access to more consumer data than ever before, and most of it is happening in day-to-day discussions online, right now. It’s often easy to forget, however, that your consumers are real people on the other side of the computer screen. Aside from impressions, click-through rates, and other important numbers we tend to track, we must also know how to understand the way that people think and act. That’s why we created this short guide — to show you why psychology is critical for conversion optimization. 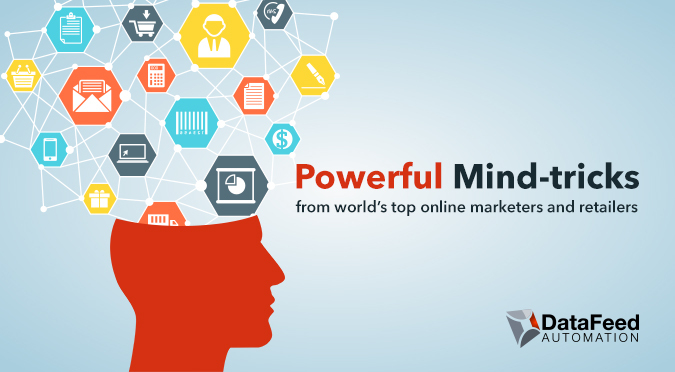 There’s plenty of information about consumer psychology, but there are very few resources out there that give this kind of insight in regards to online marketing. 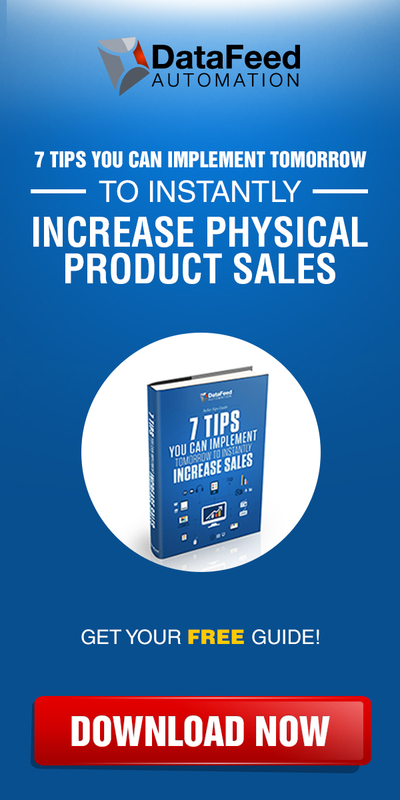 In fact, this guide below, will only help you grow your online store. The ‘social proof’ technique is the psychological preference of doing what other people are doing. If other people are doing something, or talking about it, there is proof that it must be worthwhile. As humans, we’re easily influenced by our peers. Smart businesses use this peer influence to their advantage in order to increase conversions, credibility, and sales. Strategically place well-written customer reviews and testimonials around your product listing or website. This will show prospects that other people like your brand. Be sure to also allow a few negative reviews as doing so can actually increase trust. Gather your best stats. If you have a product, how many sales have you made? If you have a podcast, or popular blog, how many countries do people tune in from? If you have a social media presence, how many true fans do you have? If you have a good app or software, how many satisfied customers do you have? Always display the highest numbers you have. Don’t bother with lower numbers. For example, if you have 1,000+ Instagram followers and only 50 Facebook fans, display your Instagram followers on your website. Leave out the Facebook fans (or lack thereof). Show your potential customers what their connections have recently purchased. If your product worked for them, then they will want to try it out themselves to see if they get similar results. Use this technique to appeal to their sense of identity. People want to feel special – as though they belong to a certain social category or group. Give your target audience something that will make their life better. Sooner or later, they’ll read about your product and buy it. One of the best tools to use is word-of-mouth marketing. Get your existing customers to share your content with their network. Make it easy for them. This will let you tap into many new prospects. There are certain pricing triggers that subconsciously encourage people to click and purchase an item. Use these tactics to boost sales with your target audience. This is called charm pricing and it’s most effective when the left digit chances. A one-cent difference between $5.50 and $5.49 won’t really matter. However, a one-cent difference between $5.00 and $4.99 will make a huge difference. Why is this left digit so important? It has to do with the way our brain quickly encodes numerical values. Make sure to include the old pricing next to the new price, and include the percentile saving. This will make them view the price change as a great deal. It takes less time for the human brain to process. Not to mention, most online shoppers have a very low attention span. Help your customers make their decisions quicker. Half-price becomes 50%, and so on. You should consider offering incentives to squeeze more out of a customer. For example, free shipping on orders over $20. People love free. Therefore, they’ll be tempted to buy something extra to clear that mark. Test out different pricing charts, tables, and payment plans. Go with the one that gets you results. This outcome will depend on what your customers respond to best. More often than not, the human brain associates the number of syllables with quantity. What does this mean? It means the more syllables in a price, the more expensive it seems. If you use a pricing chart, for example, put the best option in the middle and make it stand out as the popular one. It won’t appear too expensive, or too cheap – it will be just right in their eyes. Pricing anchors are often used to make other options seem like great values. Marketers use them because humans are naturally indecisive. This can be seen in something as simple as buying a cup of coffee. Most people choose a medium coffee as opposed to a small or a large, because it’s more than the least filling option, and less than the biggest. This technique allows you to put a floor and a ceiling on your prices in order to help guide your customers. Fear of missing out is a real thing. It’s a form of social anxiety, and it’s a compulsive concern that one might miss out on an opportunity. We all fear scarcity. 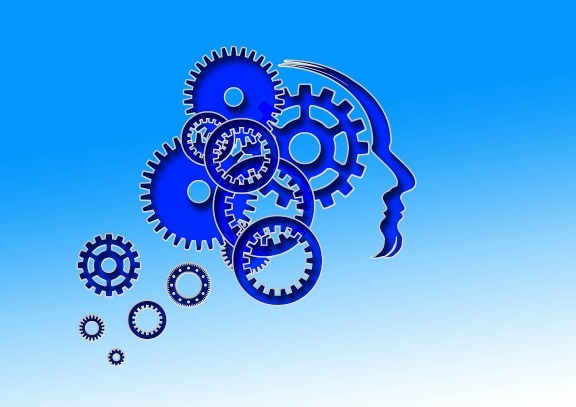 And, as an online retailer, it is easy to take advantage of these psychological factors. Have cookies in a specific place so that the product price increases when a potential customer revisits your website after seeing it once already. Airlines do this all the time and often get far ahead of the competition as a result. This phrasing adds urgency to a prospect’s’ decision-making abilities. In fact, it makes them think that if they don’t act soon, they’ll miss out. And no one likes to miss out or let a good deal get away. You can’t lie to people about scarcity. But you can say things like ‘only five units left at this sale price’ and then adjust the price once the sale ends. There’s a reason why people buy before a clearance ends. You see this strategy all the time in infomercials. Do the same with your e-commerce business. Urge people to make a decision by using a real time countdown. This tactic is great for special offers. Your website should have an easy user interface. Users shouldn’t have to waste their time learning how things work. 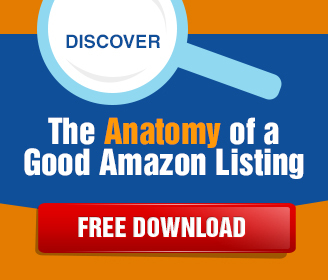 Create a good listing if you want to leverage a platform. Use a proven template or theme for your own website. Stamp your brand identity on everything. Offer additional products that are related to the customer’s purchase. 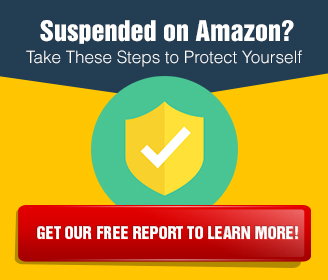 Amazon does a good job of this. An excellent way to upsell. Red CTA buttons grab people’s attention. Guys in particular are attracted to red because of its powerful sexual associations. A color like orange is better to use when dealing with a wide range of people. This is something worth testing to see which converts. But a neutral color typically works best. Before running ads, or doing any kind of marketing internationally, you should first research cultural attitudes. This should include colors. Some colors are perceived differently in other countries so be careful and do some research before committing to a specific color with international marketing. This technique is a way for you as a seller to simplify things. Don’t overload the prospect with too much information. Why, you ask? Because you could give them analysis paralysis or scare them off altogether. The goal is to make their buying decision an easy one. Put a lantern or sleeping bag next to a camping tent. Why? Because they go hand-in-hand. It’s your job to make these types of connections for your potential customers. We read from left to right, and psychologically, we tend to associate the left with the past, and the right with the future. Using this information, remember to put the buy button on the right so that your customer views purchasing as their next move forward. The number one problem with online shopping is that the product can’t be touched or smelled – it can only be seen. For this reason, it is extremely important to put care and thought into selecting great images. It is highly important to use high-definition photography for every listing in order to create the illusion that the product is a tangible purchase. Online shoppers like to zoom in and see every little thing about a product before buying. It’s your duty to make it easy for them. Images should be clear and sharp for everyone to see. Having featured demo videos, or customer review videos, can help in boosting sales. People like to see and confirm that the product in the pictures match up with what they would be receiving in the mail. So you’ve created a website with good marketing copy, social proof, and pictures. Now what do you do? You need to close the sale. Do this by making checkout super easy. Prospects do not like long check out processes. Having to fill out long forms are annoying. To fix this, divide the checkout experience into smaller sections to make it seem like a simpler task. Figure out how to make checkout easy for new customers (and existing ones as well). This will save customers time and effort. Paypal as a payment gateway can speed up the process. Every time a customer finishes a check out task, reward them. Do this by giving them a green symbol of some sort. This makes them feel like they’re doing it right. With the checkout process divided into smaller sections. Having a progress bar lets a prospect feel more confident as they get closer to completion. This tactic also creates a sense of achievement in their eyes. If you captured a prospect’s email address before cart abandonment, try sending them an email, and kindly ask them to finish what they started. This will be a reminder for them and can make them feel wanted so that they return to your site to complete the purchase. Be honest and up-front about what your product is going to cost. To avoid abandoned carts, be straightforward with your prospects. This is how you build trust. Trust is what builds brands. How do you make your customers feel special? By creating a personal feel. Use their name wherever possible. People also like to buy from people (not large corporations). Show your customers that you’re a person and not a corporation by writing follow-up emails with some personality. They’ll appreciate it and start looking forward to anything you send them. This principle is based on the idea that people’s natural instinct is to return a favor. Do something for them and they’ll do something for you. In fact, in the business world, if you give away something for free, then they’ll likely be committed to you and your brand. People feel the pull of repaying even for the smallest acts of kindness. Give something away for free. Then offer great value in exchange for the visitor’s commitment. This is a good way to improve conversions. People like to try things out. By doing this, you tap into their innate sense of wanting to commit, which can help you close a deal. Deliver valuable content. This will create a psychological bond and get people to trust your brand. As your prospects become more bonded to your brand, and your content, they will become more likely to make a purchase when you ask. People are conditioned to seek authority figures or brands for guidance. If possible, have experts to endorse your product. Once you do this, use these endorsements to your advantage to create a positive perception. Do you have years of experience in a relevant field or industry? Have you been featured anywhere? Won any awards? Accreditations from regulatory bodies? If so, consider listing them. This is another way to build trustworthiness. If you work with any high-level companies or experts, put their logos on your website. You want to associate your brand with anyone that has a great reputation. If you use a highly-trusted payment portal that everyone respects, display their logo, and use it to your advantage. Now, go implement these psychological mind-tricks and turn new visitors into loyal and repeat customers! Use some of these tricks to maximize your current e-commerce business. And, if you’d like to scale up your operations even more, give Datafeed Automation a try today. 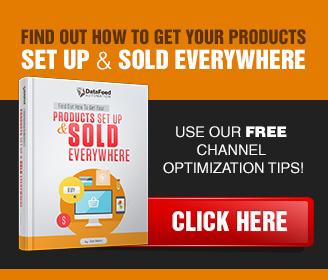 It’s multi-channel selling made simple. It saves you time by eliminating the tedious tasks of listing products on different platforms and compiling reports, both manually, and instead, enables you and your staff to solve problems, make improvements, and grow your online sales.